The Aries-Sagittarius combination is very good, because they are both Fire signs, they are intuitive and impulsive people and enjoy each other’s company. Aries is a perfect match for the Sagittarius uninhibited enthusiasm for life. Sagittarian’s optimistic approach sits well with the fearless and outgoing Aries. When these two meet, Aries will fall for Sagittarian’s thirst for life that is charming and inviting…. after all, who isn’t attracted to happiness? Sagittarius can sometimes go past comfort zone, taking excitement to an unappealing level or overstepping boundaries when things get too emotional or familiar. Aries man and a Sagittarius woman is truly a winning combination. They share wonderful chemistry with each other and the physical relationship between them is intense. An Aries man is fun, loving and has a great sense of humor. With his charm and fun-loving nature, an Aries man keeps his partner in good mood and enjoys the life to the fullest. 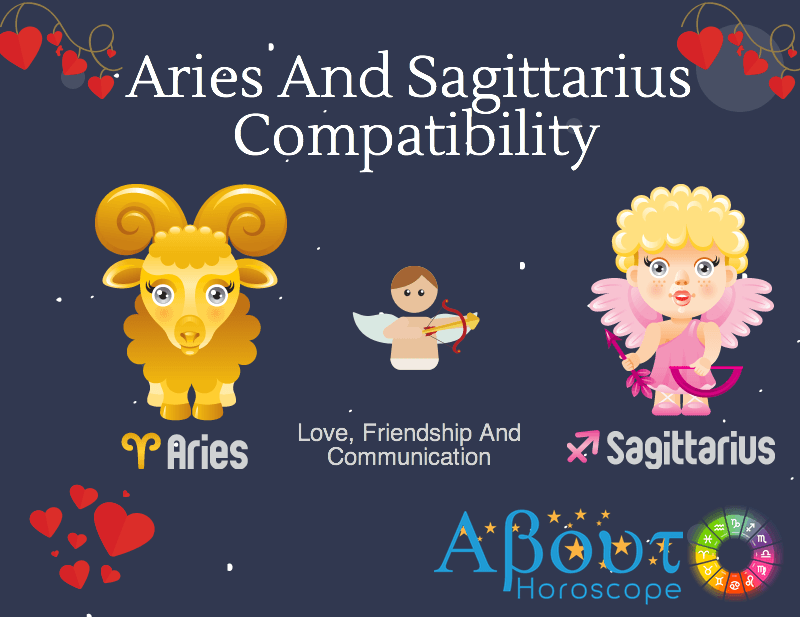 Both Aries man and Sagittarius woman love adventures and excitement and this makes their love-life stimulating and long-lasting. Sagittarius woman will fall in love with Aries’ childlike spontaneity, enthusiasm and dynamism. She will be satisfied with relationship with him all because the Aries man does not want to be possessive, and keep his lady love’s choices repressed. He believes that couples should trust each other, and leave a certain space of freedom for each other. Both of them accept, understand and respect each other’s need for independence. This combination can produce an eternal flame. Both Signs are always on the go. They have endless resources of energy; it’s rare for one partner to fizzle out on the other. There’s never any battle of egos between these two related to ’who’s in control.’ Aries likes to bask in all the glory and Sagittarius is happy to maneuver events from behind the scenes.